The repair of the landslide-affected portion of NH55 at Tindharia is set to begin as the Centre has revised funds for the work for which two construction companies have been selected. 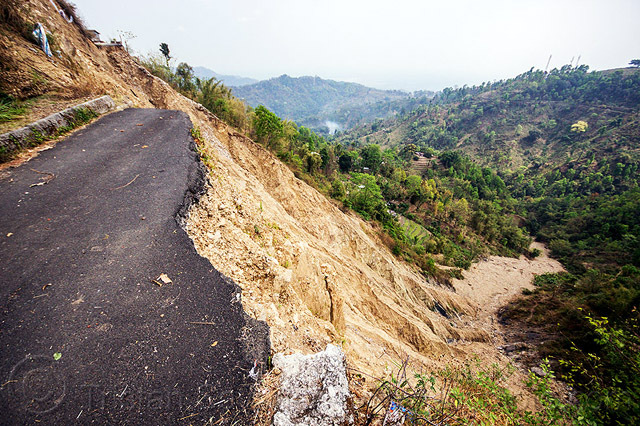 "We received a letter from the central government stating that the funds for restoration of the highway at Tindharia have been revised from Rs 75 crore to Rs 137 crore last week. Two construction companies have also been finalised to carry out the restoration," said a state PWD official. He said the PWD was in the process of awarding the contract to Calcutta-based GPT Infraprojects Limited and Maharashtra-based Shiva Structure Private Limited. The two firms quoted bids at Rs 119 crore. Three tenders had been floated in the past two years and they failed to attract any bidder. Sources in the PWD have said bidders were reluctant to work on the Engineering Procurement and Construction (EPC) mode where a construction company prepares the design and has to complete work within a fixed time and cost that has been allotted.